News circulating this morning on Facebook that Karl Tanswell passed away. "Karl Tanswell has been involved in Martial Arts and Combat sports most of his life . 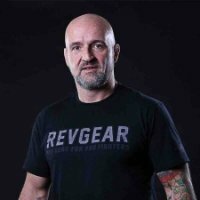 He is currently the Head Coach and Director of Sbg UK and the SBG Manchester Fight Team. As a Mixed Martial Arts Coach he has developed Athletes who regularly compete on all the major promotions amassing many Titles on the way . He is known as an innovator within MMA and has been involved from the early roots of the sports evolution. During that time he has researched and combined many concepts and is the developer of The STAB Program ( a edged weapons defence system) , The Essential Padman Seminar and online learning tool for Striking Coaches , Aretas Training and Management Company and SBG Manchester Gym. In July 2007 Karl Tanswell became the third Instructor to receive his BJJ black belt from Matt Thornton. ..."
My sincerest condolences to his family, friends, students, and associates.